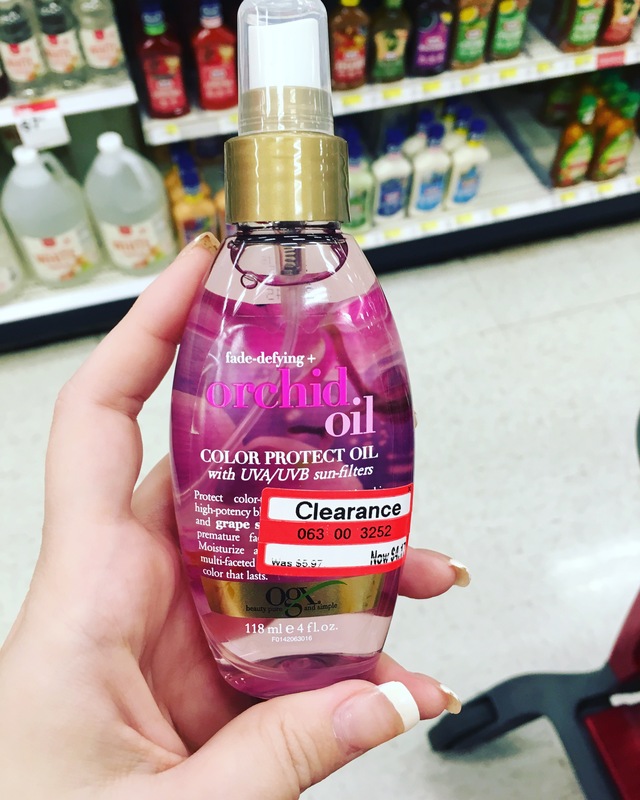 *If you follow me on Instagram, you’ll know that I was in Target the other day (I’m sure that’s no surprise for anyone) and found this Orchid Oil treatment spray from OGX (Organix) on a clearance endcap. It’s a protection oil mist for color-treated hair to help hydrate and provide shine for hair. I asked if anyone tried it and a couple people DM’ed me and said they loved it. So, I figured it’s 50% off (and I had a coupon for OGX products) let’s try it. First of all, it smells AMAZING! It has a really light orchid scent, which is kind of fitting for spring, I think. You spray it on damp hair before you dry it (and you can lightly mist again once it’s dry) and then blow dry/style your hair as normal. The mist is really light and it does not weigh your hair down at all and you don’t feel it in your hair. I only wash my hair maybe every 2-3 days and I used this when I washed it Thursday night and I was concerned that it would make my hair oilier as time went on, but I still don’t feel it in my hair and it still isn’t weighing it down. But it did make my hair look super shiny and really healthy, so definitely something to check your Target endcaps for if you have dry, color-treated hair. *Devon is on spring break as of 2:40 yesterday afternoon. I’m really trying to not be jealous (mostly because my break is actually a few days longer than his is) but it’s still really hard to think about having to get up for work for the beginning of next week. I always have that small evil part of me that wants to make loud noises to wake him up when hes still sleeping and I have to go to work. Is that bad? I don’t actually ever do it, but I think about doing it. But knowing him, if I do that, he’ll retaliate harder than what I did and that’s not worth it. Get a man who can cook, ladies. Trust me on this one. Just trust me, your life will be amazing. *The new Match Game is my favorite show in the entire world. Alec Baldwin is the best dirty old man they could have ever gotten to “replace” Gene Rayburn. Devon and I actually have determined the perfect panel out of the normal celebrities they have on there and we’ve determined that Titus Burgess, Niecy Nash, Chris D’Elia, Leslie Jones, Rosie O’Donnell, and Jack Brayer woould be the dream team. I would probably bust an organ from laughing so much at them. *Beauty Brands is having a really nice $5 hair care sale today. I got about $50 worth of high end styling products for like $17 shipped. It’s stuff I haven’t tried before, but for the price, why not? Im not against trying some new things. You Ann also use promo code EC14118 (also on the website front page) to get an extra $3.50 off any $10 purchase. 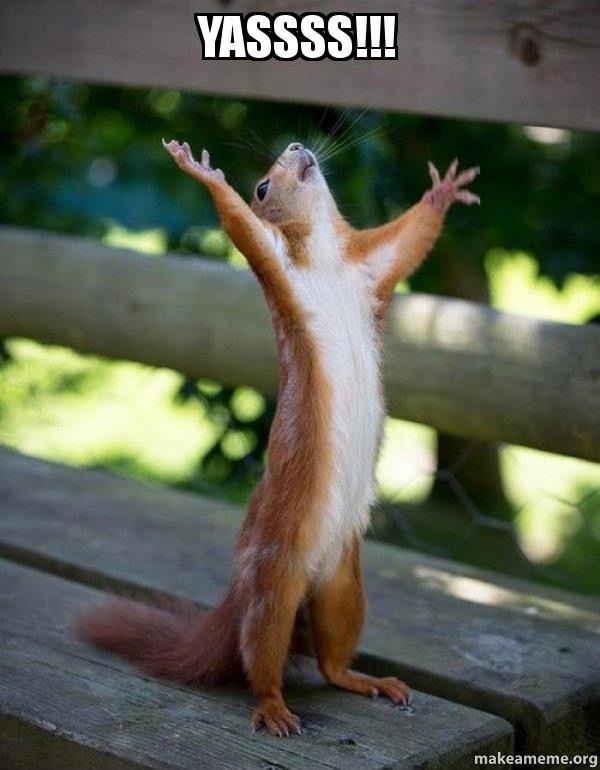 I hope everyone enjoys their weekend! !